At Signature Contracting, our home renovations business is founded on exceeding our clients’ expectations through quality workmanship and professionalism. We have hand-selected a dynamic team of trusted tradespeople, designers, cabinet makers and renovation experts, offering a broad range of in-house services to craft and carry out your unique vision. When partnering with us, our experienced industry professionals walk alongside you, accurately noting your needs and wants, while offering the latest décor advice and curated in-house product selections in our Stoney Creek showroom. Your designated designer and décor assistant will also provide you with design drawings and 3D renderings, allowing you to visualize your space and materials prior to building. With all products offered in-house, you can touch, see and feel your future finishes without exhausting valuable resources on outsourcing. Our ability to offer a multitude of services also ensures that one company is held accountable for the cost, schedule and performance of your home renovations. Our entire team remains clearly focused on a singular goal: turning your ideas into reality. 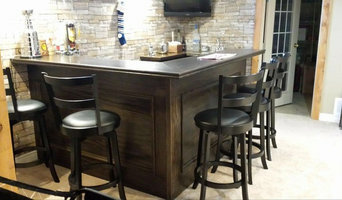 Whether interior renovations, such as a bathroom renovation, custom kitchen design and cabinet making, customized concrete countertop, custom wood accents, basement renovations and home additions – Signature Contracting prides ourselves to fulfill our clients’ home renovations and home improvement needs in a timely fashion with respectable and open communication. Kennedy Build is committed to providing the highest quality construction for your residential projects. With unparalleled attention to detail, we ensure reliable customer service, excellent value, and the utmost in transparency & accountability. We are a one-stop shop that facilitates your design process and impeccably manages your project from start to finish, to stay on track and within your budget. With over 20 years of relative experience in the industry, we can handle virtually any residential construction or renovation project that comes our way. We pride ourselves on offering reliable solutions to improve the look & feel of your home, and a track record that speaks for itself. We stand behind our work and provide you with a reliable warranty to back it up. If you need us, we’ll be there to ensure your satisfaction. Integrated Contracting has been serving the Hamilton and Burlington areas for many years. 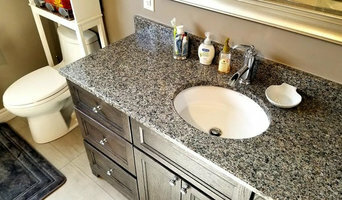 We take on a variety of projects, from kitchen and bathroom remodels, to full-scale home renovations. Quality is our number one priority, and we pride ourselves in delivering the ultimate client experience. We look forward to helping you create the home of your dreams! The Bradburn Group is a professional Interior residential, commercial contractor and project management team servicing Burlington Ont. and surrounding areas. We take pride in our superior workmanship while staying true to our core values – RELIABILITY, TRUST and QUALITY. MAXLOR Custom Homes & Renovations is a premier construction company with over 20 years of experience. We provide our customers with a solution to their vision(s). We’re dedicated to providing excellent service while meeting the budget that’s set out for the project. Renovating or building a custom home is not a straight forward task and unless a professional and knowledgeable approach is taken, your dream may forever remain just a dream. At MAXLOR we will ensure that every facet of your project is planned to ensure your dreams become reality. We’re a highly-experienced general contracting company capable of taking on projects of any size. From custom home builds to interior renovations projects, our expertise is diversified. If you have construction needs that demand an attention to detail, look no further. 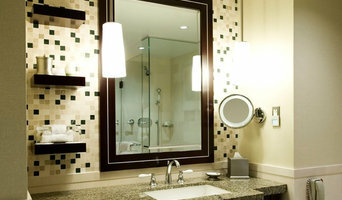 Cinco Home Improvements is composed of a team committed to your satisfaction. We strive on exceeding your expectations and building long lasting relationships. So, it comes with no surprise that we have built many lasting relationships across the GTA. Our company was founded on the most essential values and morals, and you will witness this from the very first hello! We understand the challenges that can arise during a home renovation. These activities can become stressful if you don’t have the right tool & people to help. But, it doesn’t have to be that way. Our experience is your asset! We work with each of our clients to understand their needs and execute their vision. Our expertise are always at your disposal. We are not comfortable until you have no more questions. Working with clients to create renovated spaces that work and look beautiful. 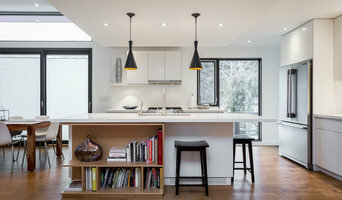 Sosna Inc is an award-winning Design Build Renovation company that has been helping Toronto homeowners for the last 18 years to fall back in love with their dated homes. Through our unique Design process, we help them find custom solutions to their dated Kitchens, Bathrooms, and other living spaces. Our In-home crews build these projects with minimal disruption to their daily routine, with attention to detail and utmost respect to their property. Our clients value our work ethics and always doing what we say we will do. If you need your project to be completed on time - give us a call. Leslieville, Beaches, Riverdale, East York - From major whole-home renos to single-room updates, we are your specialists for older Toronto homes. General, or construction contractors, are often known as project managers. They oversee the entire remodeling or new home construction project and facilitate all day-to-day tasks that move it toward completion. A Hannon general building contractor will work with your architect to review plan as you build a house and ensure everything is in place before work is started as well as arrange for permits and necessary inspections. While good local home improvement contractors in Hannon will have the skills to handle certain tasks onsite, such as carpentry, he or she is also responsible for hiring subcontractors for the majority of jobs, such as electrical work, painting or plumbing. In addition, the general contractor should be on-site regularly to inspect the progress and resolve issues. Here are some related professionals and vendors to complement the work of general contractors: Architects & Building Designers, Interior Designers & Decorators, Landscape Architects & Landscape Designers, Kitchen & Bath Designers, Specialty Contractors. Home remodeling contractors are a must for successful completion of a renovation. Because of this, it's essential that you do your homework before deciding on the right general contractor in Hannon as you remodel or build a house. Inspect bids carefully. Was it ready when the contractor promised it? Was the bid for building a home unusually high or low? Each of these things can be very telling: A late bid may reflect timing standards, and an off-the-mark bid could be code for a pricey premium or a deliberate underbid to score the remodeling job. You should call references, carefully read reviews and visit completed projects in Hannon, ON to see if they’re what you expect for your job. Once you do secure your local Hannon contractors, read the contract very carefully to be sure everyone is on the same page. Find a Hannon contractor on Houzz. Narrow your search in the Professionals section of the website to Hannon, ON home contractors. You can also search for photos in Hannon, ON and contact the Hannon general contractor who worked on the project.